Dawn Richards is a landscape and nature photographer based in Arizona. Her portfolio includes photos from around the world, with a heavy dose of the American Southwest. I recently had the opportunity to interview Dawn about her background and her work. Thanks to Dawn for taking the time to answer these questions for our readers. I was raised in southwestern Pennsylvania and loved taking photos as a child. We would often drive into the scenic Laurel Highlands, part of the Allegheny Mountains, for the weekend where I found many occasions to practice photography. I’ve always had interest in painting and other visual arts as well. Many photos and cameras later, I had the opportunity to visit Denver during a business seminar. It was my first trip west, and I was captivated by the beauty and scale of the Rocky Mountains. I was thrilled with the images I had collected during that trip. That led me to visit many other national parks and forests over the years and, of course, I photographed every trip. Photography has been a lifelong passion for me. I’m definitely a self taught photographer. When I switched from a point and shoot 35 mm camera to my first SLR, it required a some practice and it took a little time to master. With the purchase of my first DSLR, I welcomed the transition into digital photography. I have participated in some online classes and occasionally watch online tutorials. It is always great to pick up some useful tips and new ideas. I’ve always had a love of nature, wildlife and being outdoors. Spending time within our wilderness areas inspires me and makes me appreciate the beauty in the world around us. I feel a sense of calm and peace being surrounded by nature. One of my favorite John Muir quotes is “In every walk with nature one receives far more than he seeks”. I enjoy landscape photography as a way to capture that moment in time. I’d like to be able to inspire those that view my photography to have an appreciation of this scenic beauty and perhaps visit these places themselves. My goal has always been to showcase the beauty of nature, wilderness, wildlife, and other landscapes just as I’ve witnessed it. I try to maintain the most realistic and natural qualities in the images with minimal corrections. I enjoy vast landscapes encompassing entire scenes as much as capturing smaller elements within nature. As a master gardener, I find it difficult to pass up a single perfect flower as I hike. Being able to capture wildlife in their natural surrounding is also a large part of what I enjoy about photography. Although some of my images require a bit of post processing, I always try to keep things as real as possible. 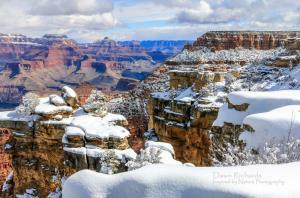 There are some dramatic HDR landscape images that are beautifully created. I have experimented with some of that software and have a great appreciation for the skill required to produce those enhanced images. However, I prefer the natural style. Everyone has their own preference and develops their own style. You have to love what you do and hope your audience does also. AS SOMEONE WHO HAS TRAVELED A LOT AND SEEN MANY DIFFERENT LOCATIONS, WHAT ATTRACTS YOU TO THE SOUTHWEST US? Prior to relocating here in 2011, we had traveled west frequently to visit. The southwest offers many national parks each with its own distinct features and beauty. The wide variety of colors of the canyons, rock formations and mountains along with the expansive skies are a photographer’s dream. 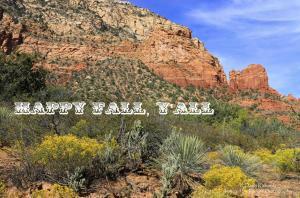 Just within Arizona, we have a very diverse landscape with many climate zones and seasons. Within a few hours of Phoenix, I can drive to see snow in the Grand Canyon or drive through beautiful golden aspens, petrified forest, and lava fields. Closer to home, I can often drive into the mountains and desert canyons and experience beautiful sunsets and wild horses. There is so much history in the Southwest also with the old mining/ghost towns, the Wild West and Native American history. The proximity of the California coast and it’s many national parks has also been wonderful. As a photographer, there are endless possibilities here, and I feel very fortunate to be living in such a beautiful area. I’ve had to work on being prepared for every possible situation. I have a lot of gear and when I’m hiking, I want to take only the necessities to lighten my load. This has been a mistake for me on a few occasions. On one 120 degree day last summer, I hiked with my camera to catch a few wild horses in the Salt River in Arizona. I arrived and found my horses, but my camera battery was dead. I had to hike back for the other battery. Luckily, the horses were still around by the time I hiked again was finally prepared to take their photos. On another occasion, I was hiking only with my wide angle lens on a mountain trail. Of course, not having my zoom lens, I discovered an eagle’s nest above in the trees. These were important lessons that I learned in my effort to travel light. I now make it a habit to carry everything I can possibly need. I see many photographers arriving at iconic locations to capture their image and they really don’t spend much time exploring the area. There may be a crowd at that one famous overlook and all the photographers will want to get that shot. There are many other perspectives and angles that they can achieve if they walk around for another view, frame the same subject differently, etc. There are so many times that I will be waiting for a sunset along with many photographers, and immediately when the sun disappears below the horizon everyone leaves. That is always disappointing to me because the best and most vivid colors happen when the sun is no longer there. Having patience and allowing the scene to develop usually has great benefits. I have been a loyal Canon customer for many years. My main camera currently is a Canon 70D with a backup Canon 60D. I have several Canon lenses, but my current “go to” lenses in my bag are the Canon EF-S 15-85mm and Tamron SP 70-300mm Zoom Lens. I’ve also been using a Sigma 17-70mm Macro Lens a bit more for macro and every day shooting. I also have a selection of Hoya and Tiffen filters such as neutral density, circular polarizer, and UV filters. WHAT SOFTWARE DO YOU USE FOR POST PROCESSING? I’ve been a loyal user of Lightroom and Photoshop for years. I’ve found both packages to be reliable and very user friendly for my workflow needs. We have always enjoyed hiking and kayaking. We love camping with our family and have done so in everything from tents, travel trailers and, most recently, a motor home. My favorite trips have been camping in our national parks. We recently backpacked to the bottom of the Grand Canyon and camped overnight. We also enjoy playing golf and spending time with our dogs and family. I am an avid reader, gardener, love to cook, and obviously love to travel. If you would like to get in touch with Dawn or learn more about her work, please use the links below. All photos in this post are © Dawn Richards, used with permission. 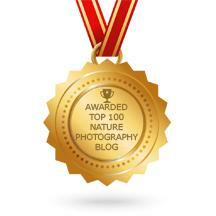 I was happy to be informed that my landscape and nature photography blog within my website was selected as was of the Top 100 Nature Photography Blogs on the internet. I am honored to be selected and be among this group of professionals. 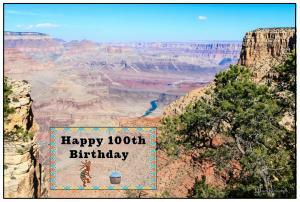 February 26, 2019 -- Grand Canyon National Park Celebrates 100 Years -- Today the Grand Canyon National Park is celebrating 100 years since it was designated a national park. Although the Grand Canyon had been known to American travelers for over 30 years, the landmark was officially established on February 26, 1919. Upon visiting the Grand Canyon area in 1903, President Theodore Roosevelt stated "In the Grand Canyon, Arizona has a natural wonder which is in kind absolutely unparalleled throughout the rest of the world. I want to ask you to keep this great wonder of nature as it now is. I hope you will not have a building of any kind, not a summer cottage, a hotel or anything else, to mar the wonderful grandeur, the sublimity, the great loneliness and beauty of the canyon. Leave it as it is. You cannot improve on it. The ages have been at work on it, and man can only mar it." We must strive to conserve and protect the natural resources within the Grand Canyon for the enjoyment of future generations. This iconic view is the Horseshoe Bend on the Colorado River located just outside of Page, Arizona. No matter what time of day or time of year you are visiting this awe-inspiring view, the scene changes. The colors of the rocks change throughout the day, the river color changes from greens to blues, and skies continually change. For those visiting the Grand Canyon or other areas of interest in northern Arizona or southern Utah, this is definitely a worthwhile excursion along the way. There is a trail that allows access to an overlook to view the Horseshoe Bend. The trail ends abruptly at a 1,000 foot cliff overlooking the Colorado River, but it is from there that the view is breathtaking. The Horseshoe Bend Overlook sits at approximately 4,200 feet above sea level and the Colorado River at this point sits at 3,200 feet. The horseshoe shaped bend of the Colorado River is located approximately 5 miles downstream from the Glen Canyon Dam and Lake Powell. The Horseshoe Bend is an incised meander which is a bend in a river which has been cut abnormally deeply into the bedrock. This type of meander forms when land under a meandering river is uplifted by tectonic forces and rejuvenates the river, giving it additional power leading to renewed downward erosion by the river. Hiking to the Horseshoe Bend Overlook is easily accessible to almost everyone and all skill levels. The distance is approximately 1.5 miles round trip. 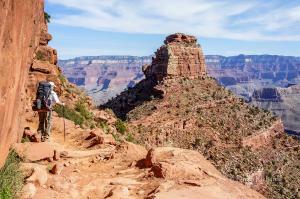 The hiking time should take about 45 minutes but that depends on your stay at the rim. Take water! Also think sun protection (this is Arizona). If you are bringing your dog, they MUST be on a leash no longer than 6 feet. And, please, be careful with children and keep them close to you. Personally, I don't recommend pets or children on this hike because the trail ends at a 1,000 foot cliff without guard rails. Okay, with my warnings out of the way . . . The hike begins in the parking lot with a gradual uphill walk through sand. At the top of this hill (half way point), there is a small gazebo where you can stop for shade and a rest, if needed. In front of you is the trail downhill to the overlook and beyond are the Paria Plateau and Vermillion Cliffs. To the left is the immense Navajo Nation lands and to the right the river leads to the Glen Canyon Dam and Lake Powell. As you walk down toward the overlook, the path has changed to a harder calcified sandstone mixed with sand. You arrive at the edge of the overlook and it's worth the walk! You will see the Colorado River to the north and south and the way it makes its way around the sandstone escarpment in the middle. You will be able to see rafts on the river which will give you a true sense of the scale and how high you are standing above the Colorado River! Years ago when we first visited the Horseshoe Bend, this was a hard to find dirt road with few parking spots and few visitors. It may have been a bit more serene then, but I enjoy seeing visitors from all over the world take in this inspiring view. 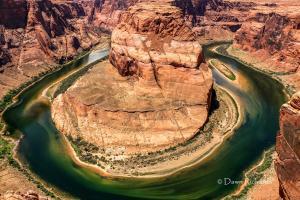 The Horseshoe Bend has become an extremely popular stop for tourists to enjoy and a "bucket list" item for many. The access to the Horseshoe Bend as well as the parking lot has expanded greatly. If you're looking for a great addition, we have also rafted along the Colorado River. It is an awesome trip. The trip we chose was just for a day and started at the Glen Canyon Dam. We traveled along the Colorado River and through amazing canyon walls and even saw a couple waterfalls along the way. We also stopped for lunch and did a short hike to see some amazing petroglyphs in the inner canyon. The highlight of the trip for me was going around the Horseshoe Bend. It was an amazing experience and one that I will do again soon. 3. Use a sturdy tripod for sharper images (be cautious of wind). 4. Try different viewpoints, if able. I always move around to different points along the rim for various angles and interesting views. 5. Try to capture scale. I don't often like to get boats or people in my photos, but including a raft along the Colorado River here can capture the immense scale of this area. 6. Best time of day to visit? Any time because it is always changing. My favorite time to visit would be late morning/early afternoon as there are less shadows in the canyon. The sunsets are beautiful and the colors are more vivid once the sun has set behind the canyon wall (inside canyon and river are shadowed). Hope you enjoy the view and hike if you visit the Horseshoe Bend! The Kalalau Trail is an 11-mile trail (22 miles round trip) along the NaPali Coastline that provides the only access by land to this part of the rugged Kalalau Valley along the NaPali Coast. The NaPali Coast is a very serene and beautiful place. The coast consists of steep cliffs and deep, narrow valleys ending abruptly at the sea. The trail was originally built in the late 1800s with portions of the trail being rebuilt in the 1930s. The trail actually follows the original route built by early Hawaiian people who named this area NaPali, meaning "the cliffs". Being one of the most scenic trails in the world, the Kalalau Trail provides many opportunities to view breathtaking coastal vistas while trekking through a pristine paradise. 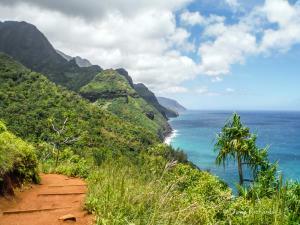 If you are a hiker, the Kalalau Trail in Kauai is sure to be on your bucket list. It is a MUST DO activity while visiting the Hawaiian island of Kauai whether you are a day hiker just wanting a short hike or an avid backpacker willing to spend 3-5 days camping in the NaPali Coast paradise. The trail begins in Ha’ena State Park at the northwest end of Kuhio Highway (Route 56) at Ke'e Beach. Our plan for this visit was to hike from Ke'e Beach to Hanakapi'ai Beach and on to the Hanakapi'ai Falls: 4 miles one way (8 miles round trip). As you begin the trail you'll traverse through an extremely lush jungle-like area. The trail will be steep, rocky and muddy. After the first half mile, you will arrive at the top of an overlook that offers sweeping views of Ke'e Beach below and the NaPali Coastline. The view of the beautiful beach and blue azure water is stunning. This is one of the most impressive views of the entire hike. As you continue on the trail, there are many other glimpses of the NaPali Coastline and the waters below as you hike along the towering sea cliffs and through lush green valleys. Native tropical plant species are abundant and wild goats are often seen along the trail route. You will cross fresh water streams and notice many waterfalls along the way. The elevation gain is approximately 600 feet along the first 2 miles. The red dirt trail eventually becomes quite steep through a series of switchbacks as you travel down Red Hill. But, what goes down must come up later! Once you've crossed the Hanakapi'ai Stream (a bit tricky), you've completed the first 2 miles and arrived at the beautiful Hanakapi'ai Beach. It was the perfect spot for lunch, rest and spectacular view. The next 2 miles to the Hanakapi'ai Falls is a bit more rugged with an elevation gain of 760 feet. The trail runs mostly along the Hanakapi'ai Stream and there are several stream crossings. The reward at the end of the trail is a fantastic 300 foot tall waterfall and a refreshing pool at its base. It was an awesome hike and one of the most scenic we've ever done. We were also able to see the NaPali Coast onboard a boat that offers sunset cruises. What a view and a great treat after that long hike! There is no water available on Kalalau Trail. Please be sure to bring plenty of water with you. Use extreme caution crossing Hanakapi'ai stream and if there has been consistent heavy rain recently or the flow is high, do NOT cross at all. Swimming in the surf at Hanakapi'ai Beach is prohibited due to dangerous currents. As a avid hiker and photographer in Arizona, I've hiked many trails within the Grand Canyon and have many favorite spots we like to visit. Hiking from Rim to River is considered one of the "World's Ten Most Dangerous Hikes" for good reason. It is mainly due to the extreme heat. While summer visitors at the rim may be enjoying temperatures in the 80's (7,000' elevation), the ground temperatures on trails at the base of the canyon can be 130 degrees (110 in the shade). Obviously, to do this iconic hike, being prepared for the conditions is the most important aspect. We decided to backpack with our gear to the river and back, and expected inspiring views along the route. We also anticipated a bit of a challenge since both of us had firmly stepped into our middle age years. We like reminiscing about the fun we had on our journey, and are planning to spend a little more time at the bottom next time. The best parts were the awe-inspiring scenery coupled with quality time with my favorite person. Time to get out and enjoy some beauty of the colored leaves and cooler temps if you are able. For those of us in Arizona, our most pleasant weather has just begun, and we experience just a slight difference in the changing of the seasons. Fortunately, within a short drive we can quickly change elevation here and head for the mountains. I definitely look forward to being able to take a drive now and then to enjoy some fall color and snow! Today is the centennial birthday of the United States National Park Service which "preserves unimpaired the natural and cultural resources and values of the National Park System for the enjoyment, education, and inspiration of this and future generations." However, Yellowstone National Park was actually established long before the National Park Service by Congress in 1872. Michigan's Mackinac Island became the second National Park in the nation only to be transferred back to the state 20 years later. Following this were Yosemite, Sequoia, Mount Rainier, Wind Cave, Mesa Verde, Glacier, etc. Today's generation and future generations can enjoy these natural wonders and beautiful landscapes thanks to the planning and stewardship of men like John Muir, President Theodore Roosevelt , and President Woodrow Wilson. And today thanks to the NPS employees and thousands of volunteers we can enjoy and preserve these natural resources. I've spent the last 30 years visiting our National Parks, Monuments and Forests. My love of our National Parks started while attending a training seminar in Denver, Colorado. I drove to Rocky Mountain National Park every night after the seminar to explore. Being from Pennsylvania and surrounded by rolling green hills, I had never seen such beauty in the rugged, snow capped mountains. It captivated me, and I was hooked. I've been to more than half of the 58 National Parks in our country from Maine to California including 2 in Hawaii and 1 in Alaska. Everyone has a favorite or maybe two. If you haven't visited any of them yet, go out and find your favorite. 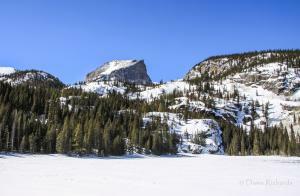 This photo is from Rocky Mountain National Park at Bear Lake (snow covered) with Hallett Peak in the background. It will always be my first and favorite! October 2, 2015 -- We love and appreciate the beauty of the Salt River Wild Horses in Tonto National Forest here in Arizona. It is believed that these horses are descended from Spanish horses brought to Arizona by a Spanish missionary in the 1600s. It has been documented that this herd has lived in the area of the Salt River since the late 1800s and probably well before that time. They have been living freely and thriving in this desert landscape, and I have enjoyed watching them over the past several years. Several weeks ago, the US National Forest announced that it would begin impounding all the horses because they were "unauthorized livestock" as opposed to being classified as wild horses. This prompted a public outcry from residents, animal activists, and thankfully our state and local politicians. Fortunately, the US Forest Service has delayed any action as they try to work with the Salt River Wild Horses Management Group and other animal protection groups to agree upon a comprehensive management plan. We desperately need a commitment by the US Forest Service for a humane management program to preserve these Salt River Wild Horses. If you would like more information about these horses and how to support the efforts to keep them wild, please visit the Salt River Wild Horses Management Group on their Facebook page. 1. Observe a distance of at least 25 feet from any wild horse at any given time, even if the horse approaches. 2. Do not feed wild horses. 3. Observe calm and quiet manners when in the presence of wild horses. 4. Keep dogs leashed and away from horses. 5. Be a respectful observer of wild horse behavior, and don't interfere. 6. Take photos, but please use a ZOOM lens so you keep your distance and no flashes, please. 7. Observe the speed limit and heed the watch-for-horses signs. 8. Observe all Tonto National Park rules including purchasing your parking pass and please don't litter. 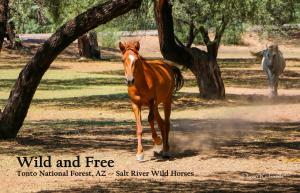 We love and appreciate the beauty of the Salt River Wild Horses in Tonto National Forest here in Arizona. It is believed that these horses are descended from Spanish horses brought to Arizona by a Spanish missionary in the 1600s. It has been documented that this herd has lived in the area of the Salt River since the late 1800s and probably well before that time. They have been living freely and thriving in this desert landscape, and I have enjoyed watching them over the past several years. I had known that there are volcanoes in Arizona, and I've driven by the sign to Sunset Crater National Monument just north of Flagstaff many times. Unfortunately, I had somehow associated this "crater" as being a smaller version of the nearby Meteor Crater near Winslow which I have visited. Meteor Crater is an awe inspiring one-mile diameter, 550 feet deep hole in the ground created by an asteroid crashing into the earth at 26,000 miles per hour. 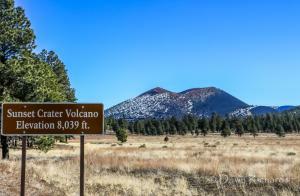 So, we recently made a visit Sunset Crater to check out our state's volcano field. We were greeted to many unexpected surprises. First, the colors are beautiful! Then, there is the lava--and LOTS of it! Legend has it that John Wesley Powell marveled at the stark, but beautiful volcanic landscape. He named the Sunset Crater for the red and gold colors along the rim of the crater in 1885. As the youngest volcano within the Colorado Plateau, the last eruption of Sunset Crater occurred roughly 900 years ago. The cinder cone of Sunset Crater is 1,000 feet high and more than a mile wide at its base. While Sunset Crater was erupting, there were two lava flows that originated from the cinder cone. The Kana-A Flow emerged from the eastern base of the volcano and flowed more than 6 miles to the northeast filling a narrow valley. The Bonito Lava Flow started from the northwest base of the volcano and pooled over a 2 square mile area. It is noted to be at least 100 feet thick. There were continuous eruptions from this crater as is evidenced in the lava flow accumulations. A blanket of ash and cinders covers more than 800 square miles around the cinder cone. There are nice hiking trails among the lava fields with one being concrete and handicap accessible. You can get up close to the cinder cone and see the red and gold colorings, but there are no hiking trails on the crater itself (protection). There is a such a beauty in the contrast of the dark lava and the Ponderosa Pines of the area. And we even had snow on a 70 degree day! Turning back toward Flagstaff and looking upon the snow-covered San Francisco Peaks is also a beautiful site. There are also many well-preserved ancient pueblo ruins in the area that you can see within Wupatki National Monument. It is well worth the trip to stay on the road within Sunset Crater National Monument and continue the loop to Wupatki National Monument. We have traveled to Hawaii to see volcanoes in two national parks there. But, I was so amazed to see this volcano and lava fields of this magnitude in my own back yard!